Some of the villages further out of the harbour areas seem to escape this madness completely, and once most of their inhabitants have driven off to their work places, an oasis of calm descends on these villages with very few (understandably mostly elderly) people about. The commercial activity in these places is also on a much slower level with a couple of grocery shops, the odd bar and the obligatory confectionery – the Maltese are big on their sweetmeats. The village of Qrendi on the way to Hagar Qim is one such place and makes for a pleasant diversion before or after visiting the hallowed megalithic site. 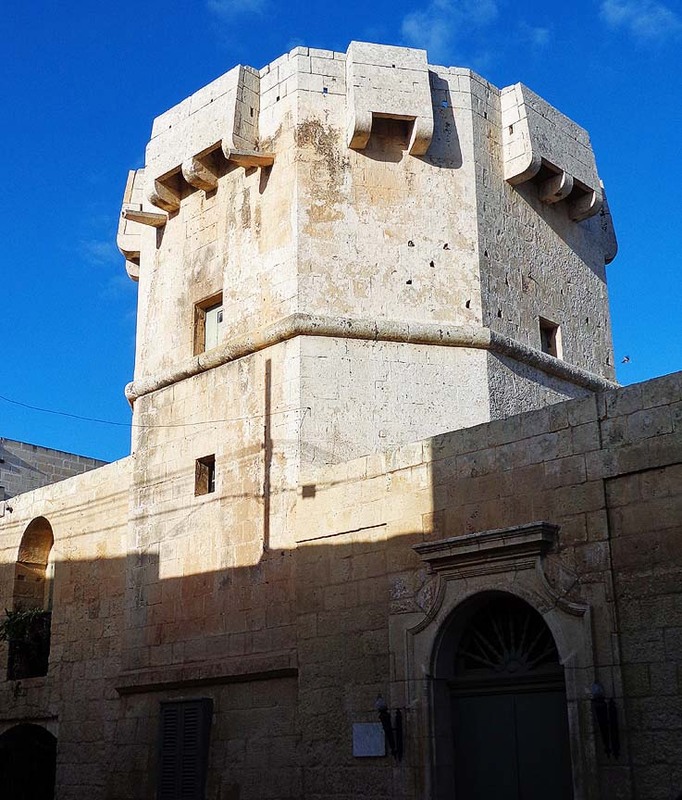 Tracing its origins to at least as far back as 1417, Qrendi became a parish in 1618. An elegant parish church was built around 1720, and this takes pride of place right in the centre of the village. The church is flanked on both sides by a series of picturesque narrow streets. Some two hundred meters to the church’s right one can find a unique octagonal tower known as the Captain’s Tower on Triq it-Torri (translates as Tower Street appropriately enough) with features like drop boxes which are unknown on other defensive buildings here. In the area is also a largish chapel, St.Saviour’s which during the Second World War served as a dormitory for people made homeless by the enemy raids in the Grand Harbour area. 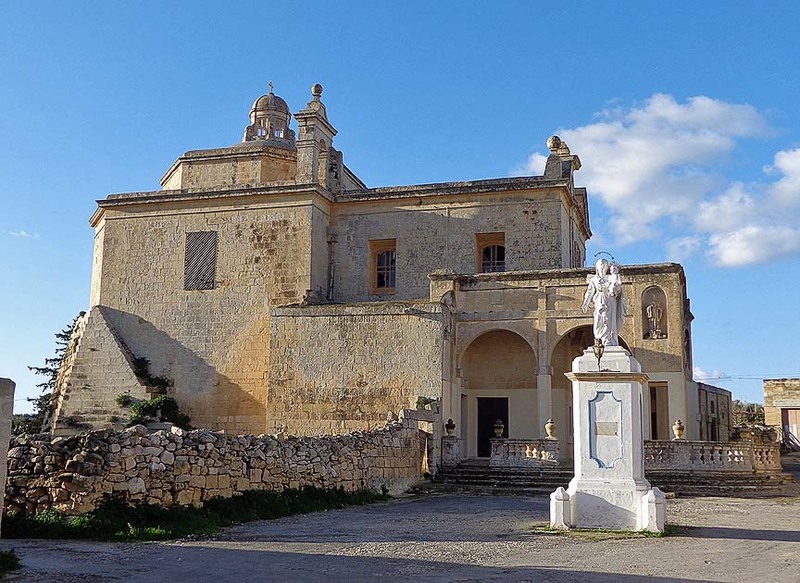 At the village’s southern end is the quaint chapel of St. Matthew with a regenerated piazza ideal for some quality lazing. Of more interest is a huge “hole in the ground” behind the chapel, known locally as Il-Maqluba. In reality this is a karstic depression created by a collapse of huge underground caves creating a sizeable sinkhole. Reputably the collapse occurred during a storm in 1343 and was superstitiously seen as a sort of heavenly warning – thus the building of the chapel as a conciliatory gesture. Steps lead down some way down this sinkhole where one can appreciate its sheer size. 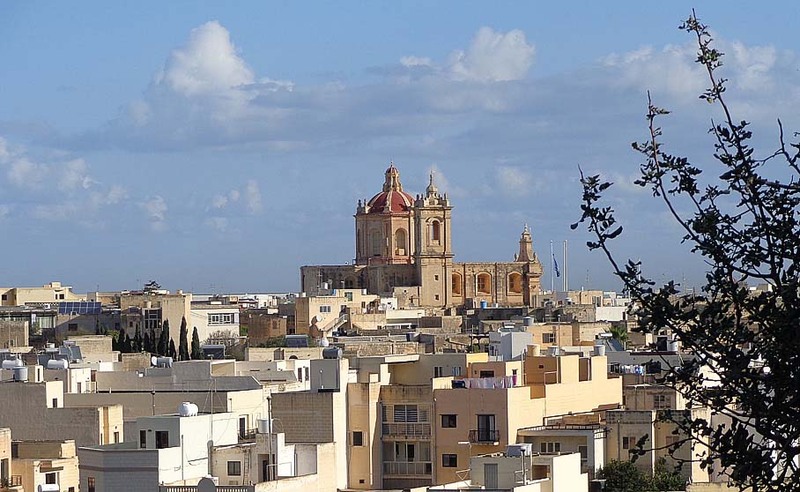 Quite near to St.Matthew’s and on the village periphery is the ancient sanctuary of Our Lady of Mercies – a church with origins dating back to the 13th century – ironically before Qrendi came into being and the area was then a long lost hamlet going by the name of Hal Lew. It’s a robust church with a lovely porticoed façade bordering some lovely country lanes. A bit further out of the village is Palazzo Guarena – a knight’s summer residence of some elegance but of more interest to film buffs. Hollywood’s most glamorous couple Brad Pitt and Angelina Jolie stayed here for some time in 2011 while Pitt was filming World War Z in various locations in Malta. A year later actor Tom Hanks, no doubt on reputable recommendation, chose to use the same palazzo as his base for fourteen weeks while filming Captain Philips. There are no restaurants as such in Qrendi, but if you wish to linger one of the two band clubs (open all hours) in the village core is sure to provide cold beer and a snack.